When one thinks of a hairdresser, the first thing that comes to mind is an artisan who specializes in cutting and styling hair. But a parrucchiere (hairdresser in Italian) is much more than that. He or she is an artist who creates and transforms hairstyles, and who can therefore shape the image and even the personality of customers. Archaeologists found the most ancient razors in Egypt: they are 3.500 years old! However, it seems that the first barber shops were conceived by the ancient Greeks: they turned hairstyling into a profession and hair salons became a meeting point for citizens. In ancient Rome, hair played an important role in rank and social recognition. According to Pliny the Elder, the first illustrious citizen who adopted shaving as a distinctive sign was Roman general and consul Scipio the African. During the Middle Ages, the practice of barbers-surgeons spread in Europe: in addition to taking care of hair, barbers could perform some minor doctor procedures, such as bloodletting. In the 1600s, hairdressers go back to focusing their attention and skills on cutting and styling hair, and particularly… wigs! This is the era of extravagant hairstyles and big, powdered wigs used by the European aristocracy. 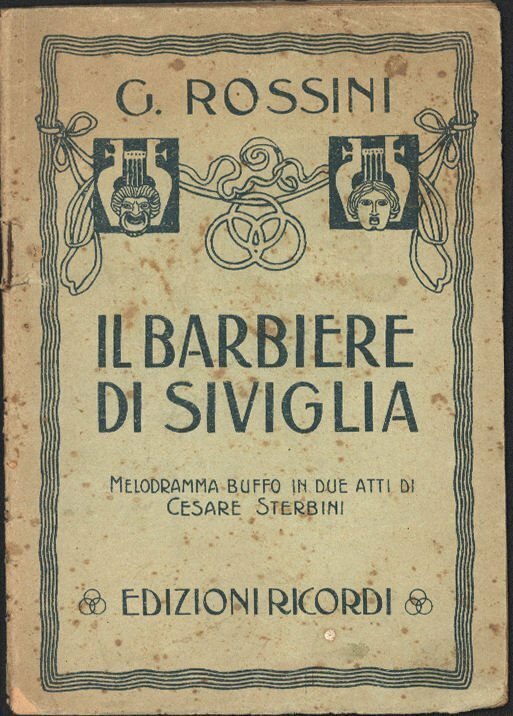 It is also thanks to famous opera pieces like the Barber of Seville by Gioacchino Rossini, that people start considering hairdressers as proper artists of the hair. From the 1900s onwards, innovative techniques and technologies are developed by and for hairdressers, such as the perm and the hairdryer. As we have seen, the romantic figure of a hairdresser has evolved throughout the years. Italy is home to both the “vecchia bottega” (old workshop), which remains in the heart of those who experience its authentic essence and vitality; and to famous high-fashion hair stylists. If you are fascinated by this profession and would like to become a hairstylist or improve your skills, you can join a professional hairdressing course in Italy. Studiainitalia offers two hairstylist courses in Florence, where you can learn with highly qualified and experienced professionals. The first is a course for professional hairdressers or hair salon directors who wish to discover all the new trends and techniques of Italian hair fashion. It is available for 80 or 120 hours. Read more on the programme and pricing of the “Hair Fashion: cut, colour & hairstyling Course”. The second is a 12-month “International Hairdresser Qualification Course”, certified by ITEC and VTCT. It offers a complete training, alternating theoretic studies and practice sessions, and is dedicated to those who wish to become successful hairstylists and true professionals in this field. Read more on the programme and pricing of the “International Hairdresser Qualification Course”.